Today only Home Depot is offering up to 30% off Select Kidde Fire Safety Equipment! Shipping is FREE on this offer. 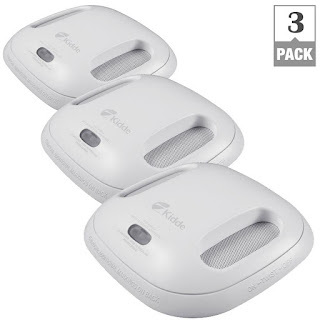 Check out this Kidde 2-in-1 Battery Operated Wireless Combination Smoke and Carbon Monoxide Alarm with Voice (Bundle of 3) now just $94.44 (Reg. $132.92)!